I need to change the spelling of my first name on my social security card and, as I understand, I should print and bring Form SS-5 with me. Additionally, I need to bring at least two documents as proof of my identity. Among them could be a certificate of naturalization, social security card, or my driver's license. Unfortunately, my passport has expired, so I'm going to bring only the originals of my Social Security card and my Driver's license. My driver's license was issued in Oregon, but I moved to Monterey, CA in March, 2019. So my questions are: 1. Should I bring SS-5 Form? 2. My social security card with the wrong spelling of my first name 3. My Oregon driver's license with the correct spelling of my first name Will these documents be sufficient to prove my identity so that I could submit my SS-5 requesting my first name change? Thank you. I have been to the Social Security office 4 times trying to straighten out my Medicare situation. I went to the local office to sign up after losing my job in November 2018 which is as you know, a triggering event for Medicare coverage that requires that it be started immediately. I had the form showing the triggering event. The person who assisted me was NEW. He signed me up for Medicare part A to start immediately and Part B to start in June at the next open enrollment. When I got the cards, returned to the Social Security office, refiled the form regarding the triggering event. I got my card yesterday. It now shows that Medicare Part A will begin in June 2019 and makes no mention of Part B. In fact, you sent me a letter stating that I do not have Part B. WHAT IS GOING ON IN WASHINGTON? DOES NOBODY UNDERSTAND THE LAWS? I need Part A and Part B NOW, not in June. I have had a triggering event and I do not want to pay a penalty that by rights, I should not have to pay. I am not working and every penny counts. I want to know if I can come to the Salinas office for a 2:00pm appointment? What do I need to bring? Will they help me complete application? 45 minute hold time? Why can't I make an appointment at my local SSA office? I went by there today and the line was out the door and the waiting room was full. People with walkers out standing in the cold. The guard said it was "a light day." I can't even talk to a person on the phone! Horrible customer service. I would like to compliment Donna Adams, who assisted me with my application for Social Security Survivor benefits. I had made a mistake and she assisted me in correcting it. She was courteous, knowledgeable and answered my questions. Her patience and professionalism is greatly appreciated. Thank you. I went into this office at Noon on a Wednesday (I work so Noon was my only option) and the place was PACKED. A lady near the door said she'd been waiting over an hour. The guard said it would extra slow because 3 of the 6 people at the windows were out to lunch. How is it possible that the Federal government hasn't picked up a clue from the DMV and allowed people to make appointments? 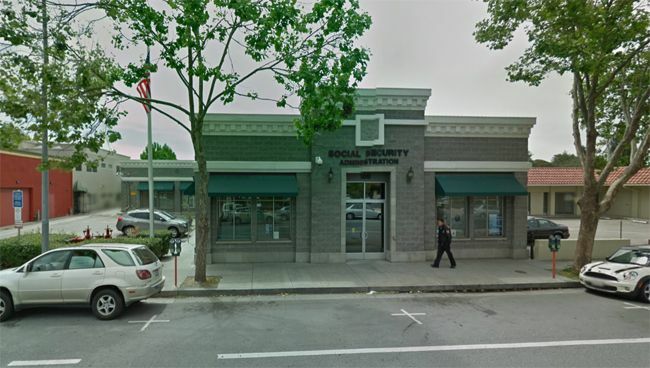 The Salinas Social Security Administration Office determines eligibility and pays benefits to those entitled to survivor benefits. Determines eligibility and pays benefits to the entitled legally blind. Determines eligibility and pays retirement benefits to those entitled aged 62 and older. If you are applying for SSI, you can complete a large part of your application by visiting our website at www.socialsecurity.gov. 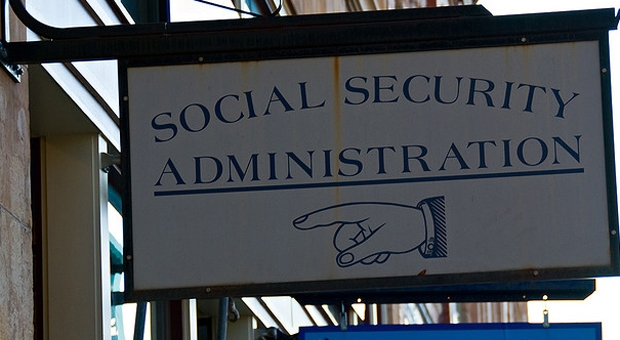 You also can call us toll-free at (877) 600-2857 to ask for an appointment with a Social Security representative.